When I think about American exceptionalism, I don’t conceive of it as a statement about how Americans are exceptional people who do exceptional things. I think about it as the United States is an exceptional place where experiences can oftentimes not translate well to other countries and contexts. 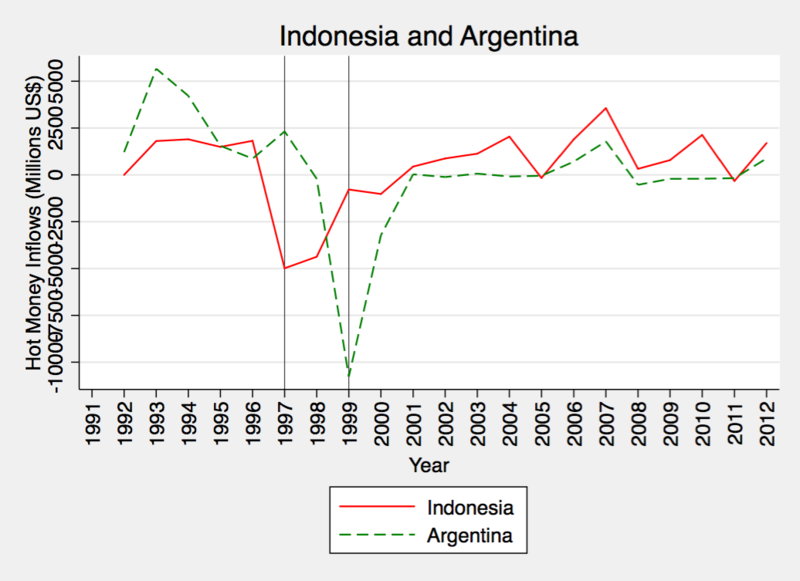 Here is one illustration, from today’s lecture in Politics and Markets, based on hot money flows during the 2008-09 U.S. financial crisis and compared to late 1990s financial crises in Indonesia (red) and Argentina (green). Two exceptional things. First, the scale of capital inflows in the U.S. as compared to the other two. Second, the fact that the U.S. continued to enjoy healthy amounts of capital inflows even during the depths of the worst domestic financial panic since 1929. 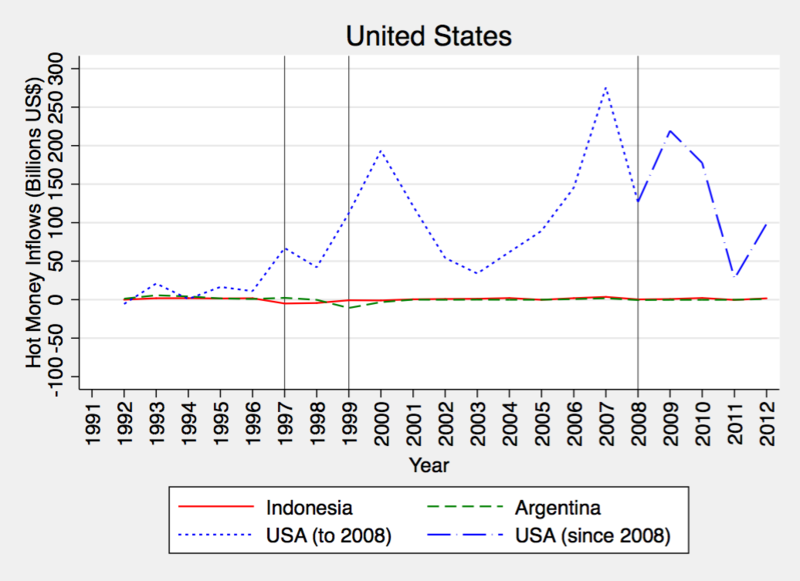 To give you a sense of how the crises unfolded in Indonesia and Argentina on scales meaningful to them, I’ve zoomed in and omitted the U.S. data below. Our financial crises are not like their crises. That’s American exceptionalism. Interesting juxtaposition, Tom! At least to my mind, though, I wouldn’t call that evidence of “American exceptionalism,” since it’s not clear to me that the differing hot money inflows are caused by something distinctly “American.” It’s more likely evidence of “unipolar” exceptionalism or “financial center of the universe” exceptionalism, right?